This year Finchley Literary Festival runs from Wednesday 20th to Sunday 24th May 2015. We love our libraries and we are pleased that following on from last year's participation in FLF, our three Finchley libraries and our community-run Friern Barnet Library will host several events this year. Each year we try to provide something a bit different while including the best of previous years' events. We think we've got something very different and exciting for 2015! We are delighted that Mike Carey, a British writer of comic books, novels, films and author of The Girl With all the Gifts, will be taking part in this year's festival. If you've read the book you'll know that our local artsdepot is mentioned. Never mind that it features zombies in the same scene! We're not quite sure if there are going to be zombies running around Finchley at the end of May but it's quite possible. We also have some workshops confirmed, including a practical workshop for writers who read at literary events to make the best of their vocal skills. We have a literary walk, a panel and discussion evening, a Poetry and Music Palooza and some author readings. There are a number of other events under discussion and we'll update you as soon as we can. Visit your library on National Libraries Day - Saturday 7 February! Dress up as a character from a book and get a free DVD loan! 'Every Picture Tells A Story' - Photography Exhibition by the Barnet and Finchley Photographic Society at Church End Library. Runs from February 2 to February 15. For booking details click the links provided above, ask at your local library or email libraryevents@barnet.gov.uk. Check here regularly for updates, and follow Barnet Libraries on Facebook and Twitter using #BarnetLibFest. 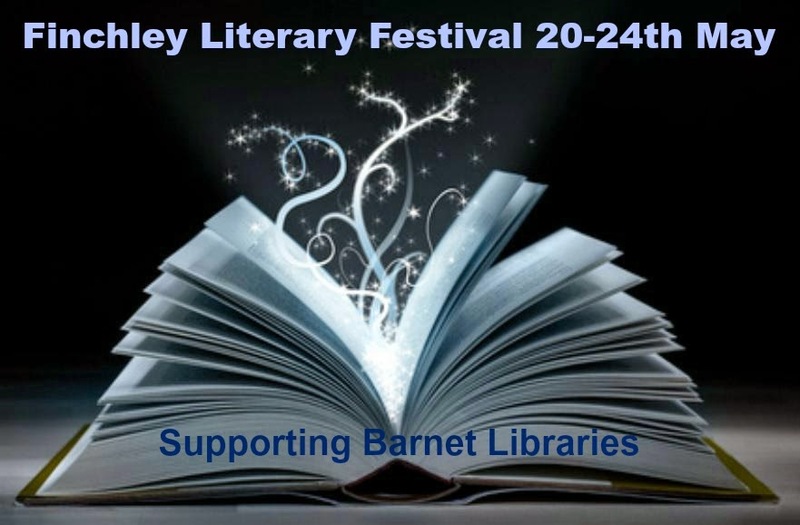 *Coming soon: details of the Finchley Literary Festival - our theme this year is supporting Barnet Libraries.